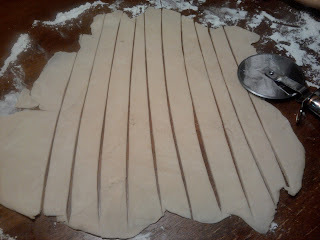 This will make ONE pie crust, enough for both the bottom and top. 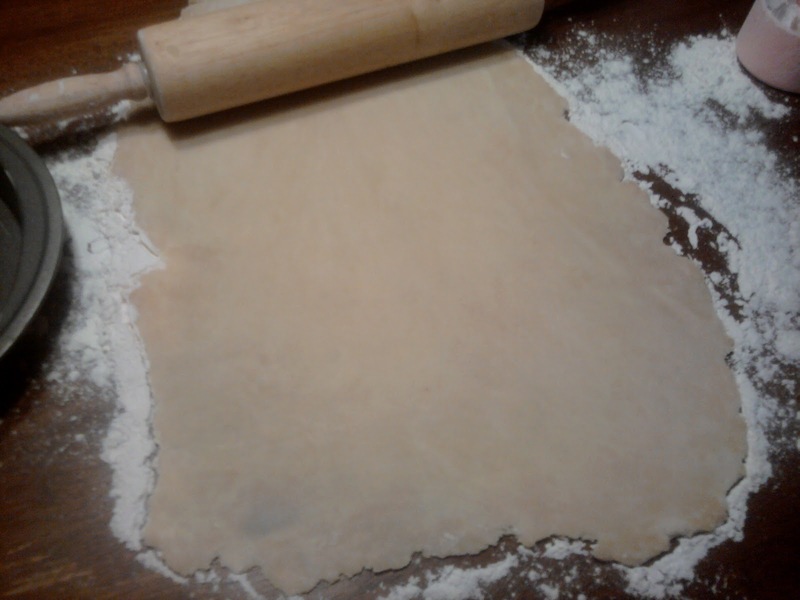 This is a great crust for chicken pot pie. It's not a sweet crust at all. 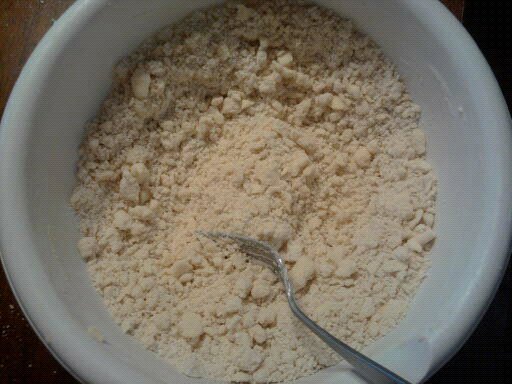 In a medium size bowl mix flour and salt. 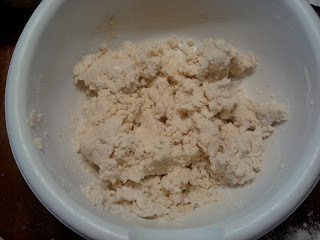 Then add shortening. 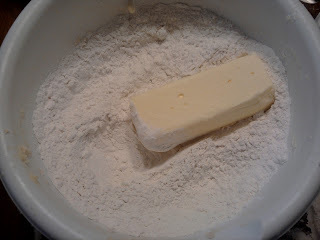 ﻿Use a fork to break up the shortening into the flour. Do this until it combines into pea size balls. 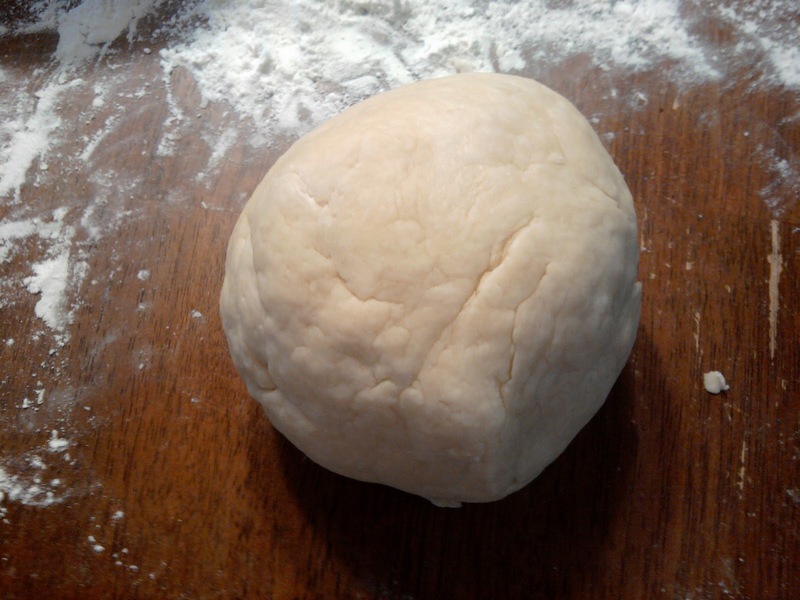 Once it looks like the above picture you can start to knead it with your hands. Once the dough is sticking togther move it to a floured work space to continue kneading. When it looks like the above picture it is ready to rest. Put it in an air tight container or wrap it in saran wrap. 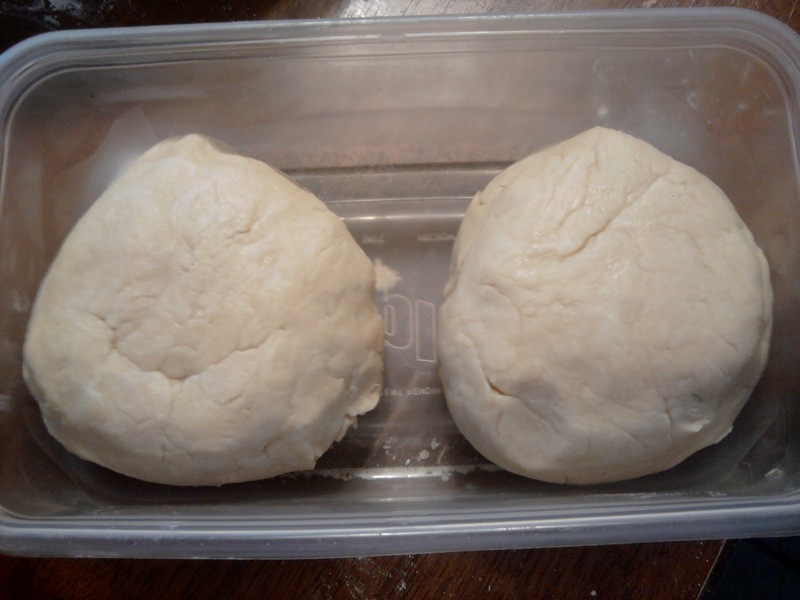 Refrigerate for at least four hours but over night is best. I always use a ziploc container. 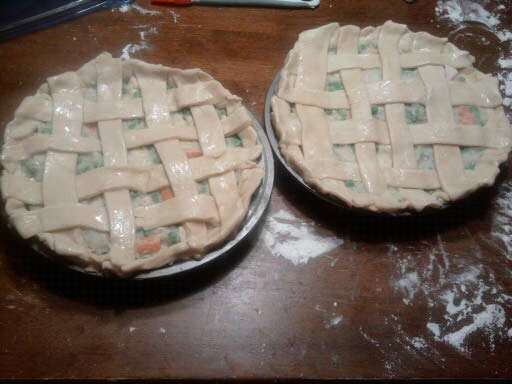 I also repeat the recipe to get two balls so I am able to make two pies. After you refrigerate put on a floured work space and use a rolling pin to roll out. Either cut it in half first or roll out enough for your bottom crust. Grease your pan with butter flavored shortening and add your crust. ﻿Before you add your filling baste the crust with egg whites. Then add your filling. 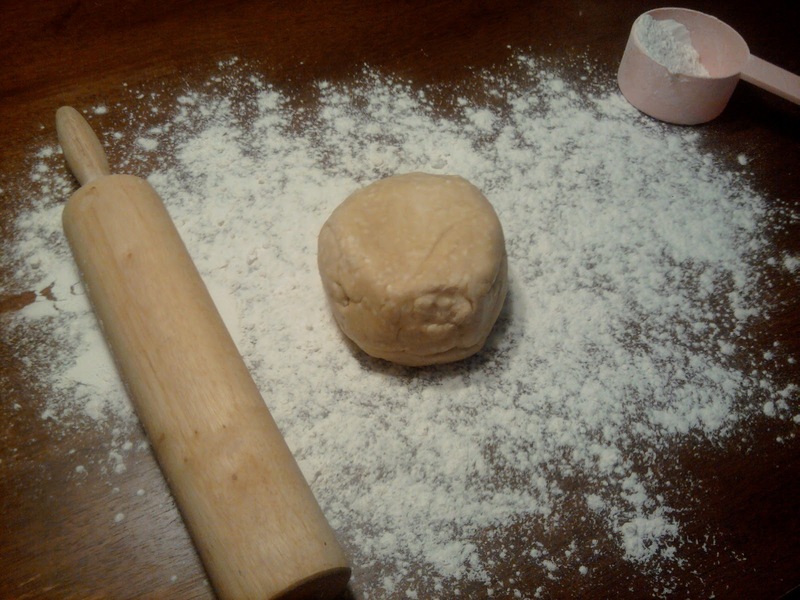 Roll out the rest of the dough for your top crust. I usually cut my top crust into strips with a pizza slicer and weave it. 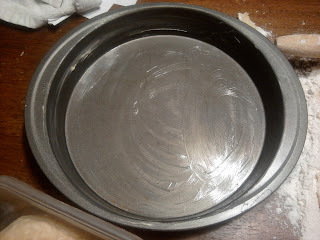 If you don't want to do that just add a rolled out top pinch the bottom and top layer together around the edge. Cut slits into the top for vents. I usually use a ruler when cutting the strips. 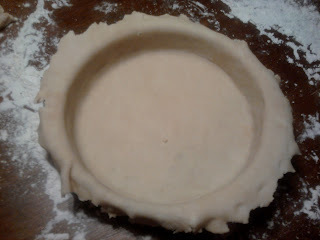 I couldn't find it when I was making this pie. Brush the top crust with egg whites. Egg whites make the crust golden brown and crispy. You can omit and the crust will be fine. Weaving the top is easier than you think! It's a simple pattern. This is NOT my best work. But that's the point. It doesn't have to be perfect! The more you practice the better you get!